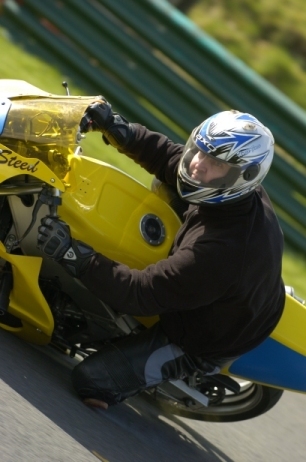 Welcome to MadSi Racing and the most comprehensive FZR400 motorcycle information site on the net! Welcome to my little piece on the Yahama FZR400RSP. This is quite a special bike in as far as it's rarity which is why i've decided to create this set of pages to help other owners of the same bike to collectively collate all the information available in one place. I've had mine since July 2003 & bought it as a trackbike - at the time I didnt know anything about the FZR400 and was even more surprised when I found out the RSP (note not RRSP) is quite a find! If you own one of these bikes and would like further information or have something to share, no matter how small, please contact me using the contact form above. Many thanks to Neil Smith who has helped enormously with information on this bike - I would not know half of what I do if it wasn't for him! 18/04/05 - Major new site upgrade in progress - expect many improvements and more content over the coming months. Well another chance to get the bike on track. The track is in Ty Croes on the isle of Anglesea in the UK. ©2003-5 Simon Steed, all rights reserved.